The Sacred Feminine is strong in this movie. The female relationships are strong, supportive, and incredibly deep beyond what is shown on the surface. 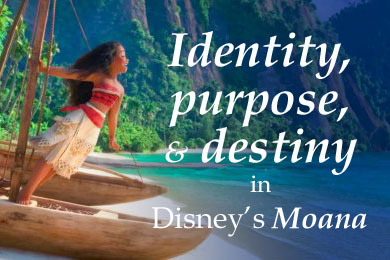 When the quest is literally to restore the heart of a goddess, the ways in which the title character, Moana, accomplishes this is a treasure trove of lessons. Much of the film has been made about the surprise twist near the end of the movie. But the pivotal point of the film for me was not the “twist” at the end—it was the point Moana conversed with her grandmother. Tala (the grandmother) showed full and unconditional acceptance of her granddaughter’s decision to relinquish the quest that had been so close to her heart. This acknowledgment of a painful wound was priceless. The acknowledgment then lead to Moana diving into the water to retrieve what she had discarded. The wound became part of the path. You’re invited to read the full piece at the image link above. I’ll also be speaking at the Festival du Feminine in Singapore this Saturday about some of the same themes (identity, purpose, acceptance) within the context of family stories, particularly in Asian and patriarchal cultures.